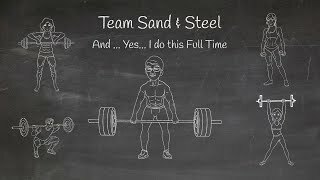 All customers and visitors to www.sandandsteelfitness.com (the “Website”) are subject to Sand & Steel, LLC’s (“Sand & Steel”) Terms and Conditions as expressed below. By using the Website you are consenting to the following terms and conditions. We use EZFacility to handle reservations and payment processing. Both companies are PCI DSS Level 1 certified companies and they handle billing and charging your credit card. Sand & Steel does not process any payments directly, AND DISCLAIMS ANY WARRANTIES OR RESPONSIBILITY FOR ANY FRAUDULENT CHARGES BASED ON THE FAILURE OF CSIPAY OR EZFACILITY TO PROPERLY CHARGE AND/OR PROTECT YOUR CREDIT CARD INFORMATION. If we are informed of any breaches of their security, we will inform you within a commercially reasonable time or within the time period otherwise required by law. Because your account may contain sensitive personal and financial information, you agree to maintain your password and username confidentially. While Sand & Steel does provide services for minors, you need adult permission to register for courses. Sand & Steel reserves the right to refuse service, terminate accounts, remove or edit content, or cancel orders in their sole discretion. When you visit the Website or send e-mails to us, you are communicating with us electronically. You consent to receive communications from us electronically including email, skype, instant messager, text messaging, etc. You agree that all agreements, notices, disclosures and other communications that we provide to you electronically satisfy any legal requirement that such communications be in writing. We receive and store certain types of information whenever you interact with us. For example, like many web sites, we use “cookies,” and we obtain certain types of information when your web browser accesses Sand & Steel. 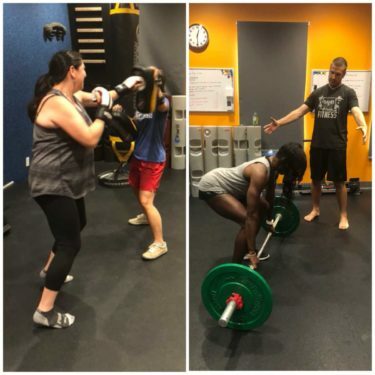 BY SIGNING UP FOR AND/OR ATTENDING SAND & STEEL SESSIONS, ACTIVITIES AND OTHER PROGRAMS, AND USING SAND & STEEL’S PREMISES, FACILITIES AND EQUIPMENT (COLLECTIVELY, “SESSIONS, CLASSES, FACILITIES”), YOU HEREBY AGREE THAT THERE ARE CERTAIN INHERENT RISKS AND DANGERS IN EXERCISE AND IN USING EXERCISE EQUIPMENT IN ASSOCIATION WITH THE SESSIONS, CLASSES AND FACILITIES. IN CONSIDERATION OF BEING ALLOWED TO PARTICIPATE IN AND ACCESS THE SESSIONS, CLASSES AND FACILITIES PROVIDED BY SAND & STEEL, IN ADDITION TO THE PAYMENT OF ANY FEE OR CHARGE, YOU HEREBY (1) AGREE TO ASSUME FULL RESPONSIBILITY FOR ANY AND ALL INJURIES OR DAMAGE WHICH ARE SUSTAINED OR AGGRAVATED BY YOU IN RELATION TO THE SESSIONS, CLASSES AND FACILITIES, (2) WAIVE, RELEASE AND FOREVER DISCHARGE SAND & STEEL, ITS OFFICERS, AGENTS, MEMBERS, EMPLOYEES, REPRESENTATIVES, AND ALL OTHERS FROM ANY AND ALL RESPONSIBILITY, CLAIMS, RIGHTS, CAUSES OF ACTION AND/OR LIABILITY FROM INJURIES OR DAMAGES TO YOUR PERSON OR PROPERTY RESULTING FROM YOUR PARTICIPATION IN AND USE OF THE SESSIONS, CLASSES AND FACILITIES, AND (3) REPRESENT YOU HAVE NO MEDICAL OR PHYSICAL CONDITION WHICH WOULD PREVENT YOU FROM ATTENDING AND/OR USING ANY OF SAND AND STEEL’S TRAINING, CLASSES AND FACILITIES AND/OR PUT YOU IN ANY PHYSICAL OR MEDICAL DANGER, AND HAVE NOT BEEN INSTRUCTED BY A PHYSICIAN NOT TO DO SO. 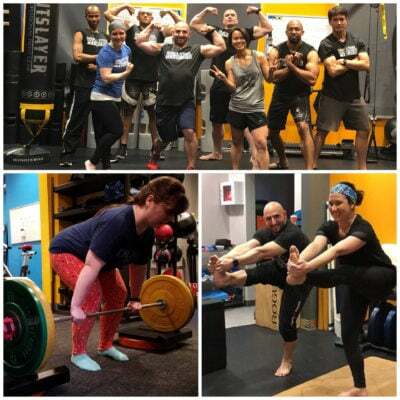 SAND & STEEL HEREBY ADVISES YOU THAT INDIVIDUALS WITH ANY CHRONIC DISABILITIES OR CONDITIONS ARE AT RISK IN USING SAND AND STEEL’S SESSIONS, CLASSES AND FACILITIES, AND ARE ADVISED AGAINST DOING SO. IN ADDITION, IF IN THE OPINION SAND & STEEL STAFF, YOU WOULD BE AT PHYSICAL RISK USING SAND & STEEL’S SESSIONS, CLASSES AND FACILITIES, YOU WILL BE DENIED ACCESS TO SAND & STEEL AND ITS SESSIONS, CLASSES AND FACILITIES UNTIL YOU FURNISH SAND & STEEL WITH AN OPINION LETTER FROM YOUR MEDICAL DOCTOR, AT YOUR SOLE COST AND EXPENSE, SPECIFICALLY ADDRESSING SAND & STEEL’S CONCERNS, AND STATING THAT SAND & STEEL’S CONCERNS ARE UNFOUNDED. IF YOU DECLINE TO OBTAIN SUCH A LETTER, YOU WILL NOT BE PERMITTED TO USE THE SESSIONS, CLASSES AND FACILITIES OF SAND & STEEL. You agree not use any software, spiders, or robots to download or troll any information from the Website. From time to time, Sand and Steel takes video recordings, audio recording, and pictures of classes and session. Sand and Steel may use these recording in marketing, place them on the Website, or distribute them as part of an email campaign. We will not post any confidential, embarrassing, or financial information on the Website or in any other public forum. 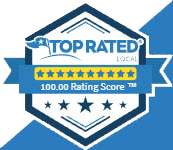 You grant us an irrevocable license to publish any opinions or comments to email to us or provide to us by electronic communication for use in customer testimonials and opinion type marketing. This license does not apply to any personal information or financial information. Sand & Steel makes no representations whatsoever about any other website which you may access through this one. When you access a non-Sand & Steel website, even one that may contain a Sand & Steel logo, please understand that it is independent from Sand & Steel, and that Sand & Steel has no control over the content on that website. In addition, a link to a non-Sand & Steel website does not mean that Sand & Steel endorses or accepts any responsibility for the content, or the use, of such website. It is up to you to take precautions to ensure that whatever you select for your use is free of viruses, worms, trojan horses and other items of a destructive nature. Sand & Steel, the Sand & Steel logo, Get Steel Strong, Sand & Steel’s Color Scheme (the “Mark”), are service marks, trademarks, and/or trade dress of Sand & Steel or otherwise proprietary to Sand & Steel and may not be used by you for any reason other than as expressly permitted by this Agreement. You also agree not register, file, or obtain any trademarks on the Marks, and hereby assign all intellectual property rights you may acquire on these marks to Sand & Steel, LLC. All Website content, forms, spreadsheets, software, design, text, graphics, and interfaces (including the collection, selection, and arrangement thereof) (the “Creative Content”) are the property of, or duly licensed to, Sand & Steel. We revocably grant you a limited license to view, link to, reference in social media postings, and print a personal copy of the Creative Content for purpose of making reservations, referrals, or noncommercial use. Any other use of materials on this Website, including modification, distribution, or reproduction for purposes other than those noted above (such as use in other fitness or nutrition businesses), without the prior written permission of Sand & Steel is strictly prohibited and will be considered a breach of this agreement and copy right infringement. IN NO EVENT WILL SAND & STEEL BE LIABLE TO YOUR PARTY FOR ANY DIRECT, INDIRECT, SPECIAL OR OTHER CONSEQUENTIAL DAMAGES RESULTING FROM YOUR USE OF THIS WEBSITE, OR ON ANY OTHER HYPER LINKED WEBSITE, INCLUDING, WITHOUT LIMITATION, ANY LOST PROFITS, BUSINESS INTERRUPTION, LOSS OF PROGRAMS OR OTHER DATA ON YOUR INFORMATION HANDLING SYSTEM OR OTHERWISE, INCLUDING ANY CLAIMS WAIVED BY YOU CLAIMS PREVIOUSLY IN THIS AGREEMENT OR OTHER EVEN IF WE ARE EXPRESSLY ADVISED OF THE POSSIBILITY OF SUCH DAMAGES. ALL INFORMATION IS PROVIDED BY SAND & STEEL ON AN “AS IS” BASIS ONLY. 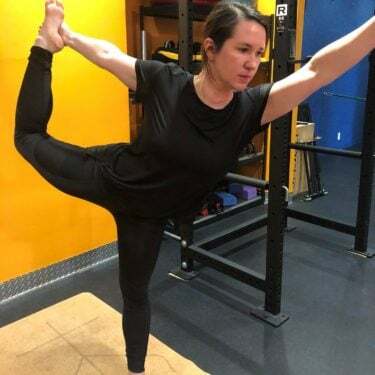 SAND & STEEL PROVIDES NO REPRESENTATIONS AND WARRANTIES, EXPRESS OR IMPLIED, INCLUDING THE IMPLIED WARRANTIES OF FITNESS FOR A PARTICULAR PURPOSE, MERCHANTABILITY AND NONINFRINGEMENT. This Website, and your use hereof, is governed by the laws of the State of Virginia, without regard to Virginia’s choice of law provisions, and any claim arising out of your use of this Website must be brought in Virginia. Sand & Steel may at any time revise these Terms and Conditions by updating this posting. By using this Website, you agree to be bound by any such revisions and should therefore periodically visit this page to determine the then current Terms and Conditions to which you are bound.